Although this is known to be Alabama’s deepest man made impoundment (at over 300 feet deep in some spots), it is still a good lake for targeting shallow spring time spawning bass. 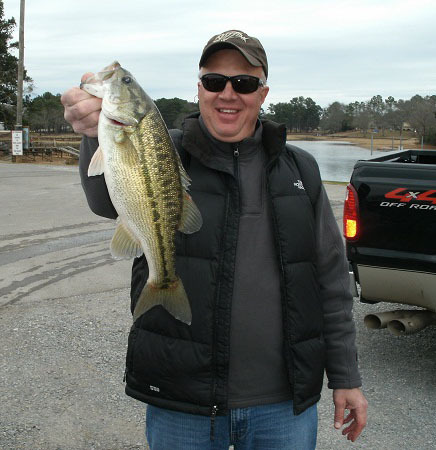 Smith lake has an abundance of both spotted bass and largemouth bass. Both bass species can become very active as winter comes to an end and they begin their move towards shallow water in March. Very cold winters in Alabama can delay the largemouth spawn until April and even on into early May on Smith lake. But the spotted bass of Smith lake can become very active, fast, as water begin to warm in early March. Smith lake is a deep rocky lake. It does have an abundance of wood cover. It is not a lake that anglers will see very many aquatic growing weeds. Especially in March. As the lake’s deeper main lake waters warm, it takes time. But this characteristically deep lake is made up of many miles of flats, creeks, small cuts and pockets, and again like said, lots of rocks like rock bluffs, rip-rap rocks and boulders. All of which heat up very fast from the warmth of the sun’s rays in early March. Spawning bass on Smith lake can be seen. Literally. Beds created by these bass in shallow water can be only a few feet deep. Due to the lakes water clarity, seeing bass beds in water as deep as 10 feet is possible. 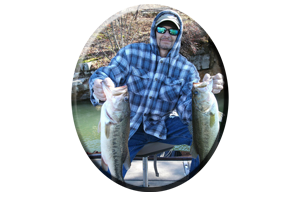 The points leading into small cuts, pockets and creeks off the main lake can be a spawning bass first stop-off before moving even shallower in the mid to back portions of these spots. Always fish these spots on the way in to determine if bass are still in a prespawn mode or if they have moved in into the shallower spawning grounds. 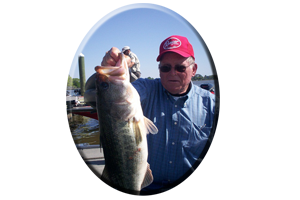 Bedding bass, those that can be seen actually on or near the bed, can be coaxed into biting a number of lures, usually fished right in the bed. In these often very clear water situations anglers may have to downsize to smaller 4 inch worms, lizards, crayfish and tube baits. Watching these bass as they take (or inhale) your lure will determine when to set the hook. Always try to catch the smaller male bass first, put it in the live well, then catch the bigger often less aggressive female bass. Take some pictures then immediately return both bass to the exact spot you caught them. This assures egg-eating pests such as bream and waterdogs will not attack the unguarded offspring. When the lake is back to full pool and bass have bed then is the time to target these post spawn bass. 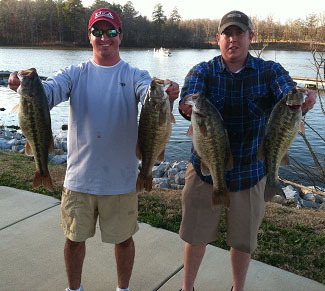 May is topwater time on most of Alabama’s lakes and Smith lake cannot be excluded. Early light, late in the evening, during cloudy or rainy days are best times for fooling these bass into biting. 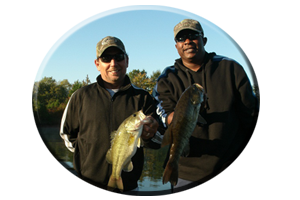 Try topwater lures such as walking type topwaters, pop’rs, buzzbaits or prop-baits. As these bass come off the beds they are hungry. Other lures such as deep diving crankbaits, spinnerbaits, soft and hard bodied jerkbaits, and slow sinking plastics such as Yamamoto’s Senkos and Zoom trick worms are great lure choices. 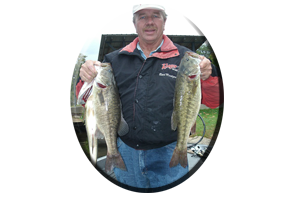 * These bass that really scrutinize a lure in Smith lakes clear water. Rattletraps on other lipless lures can be fished fast in the shallows, dropped in mid water, or allowed to go deep close to the lakes bottom. 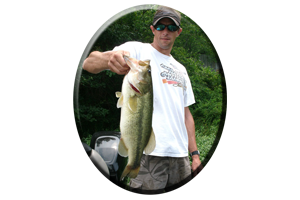 Post spawn bass are triggered to strike out of instinct when anglers are throwing these lures in and around the shallow spawning grounds.